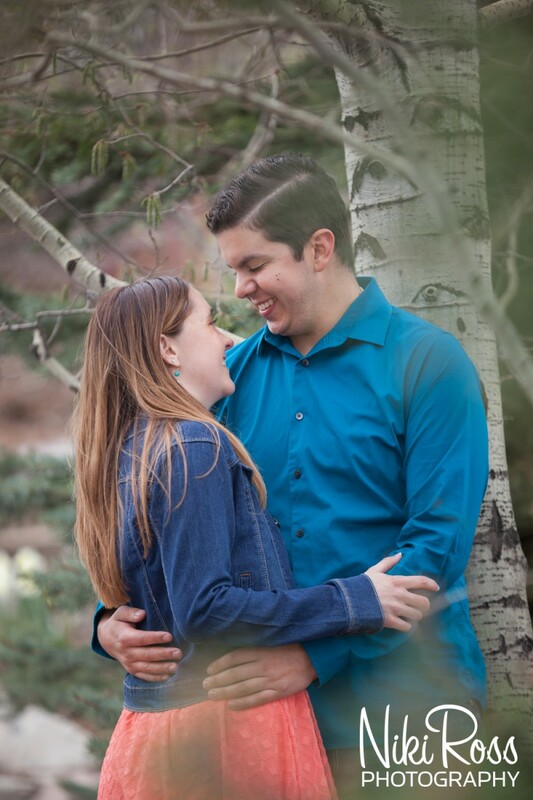 I am always a sucker for a love story. 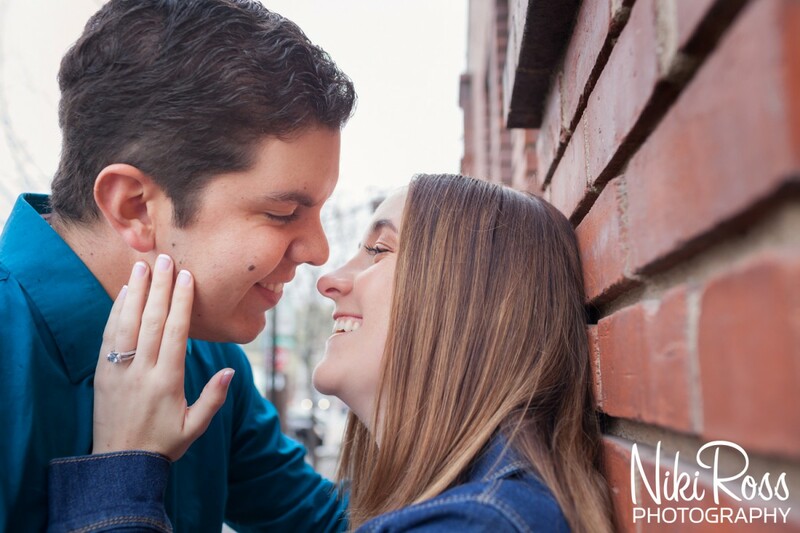 Kim and Mark have been friends for 17 years and it wasn’t until after high school and after college that their friendship would blossom into so much more. 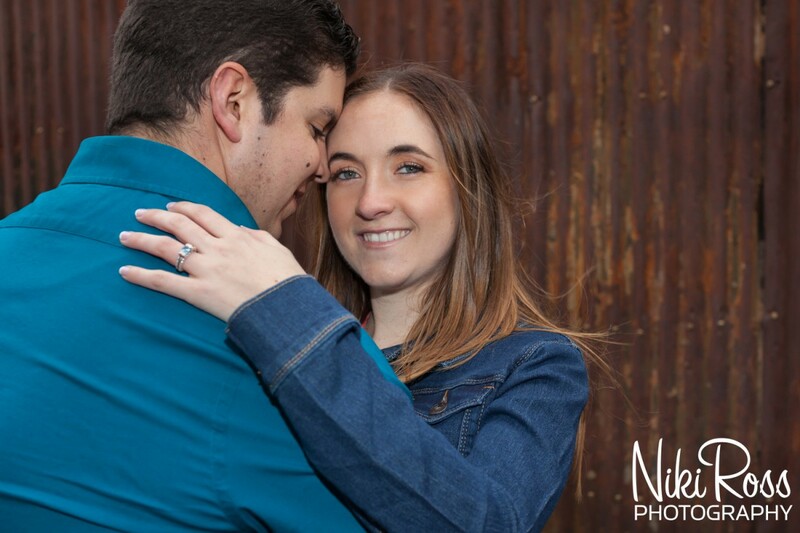 The year was 2014 and Kim and Mark had reconnected on Facebook. 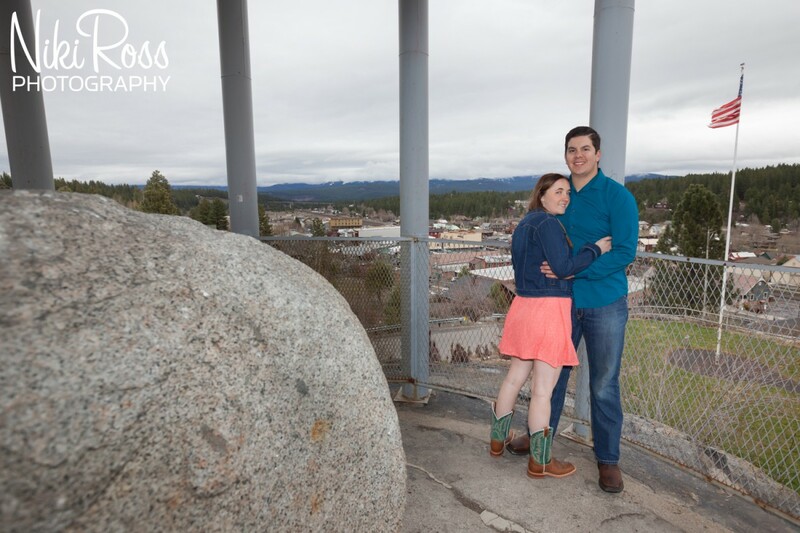 A little Facebook flirting over Giants games lead to an afternoon of watching a game together which then lead to Mark finally asking Kim out on a real date to the Reno Rodeo. 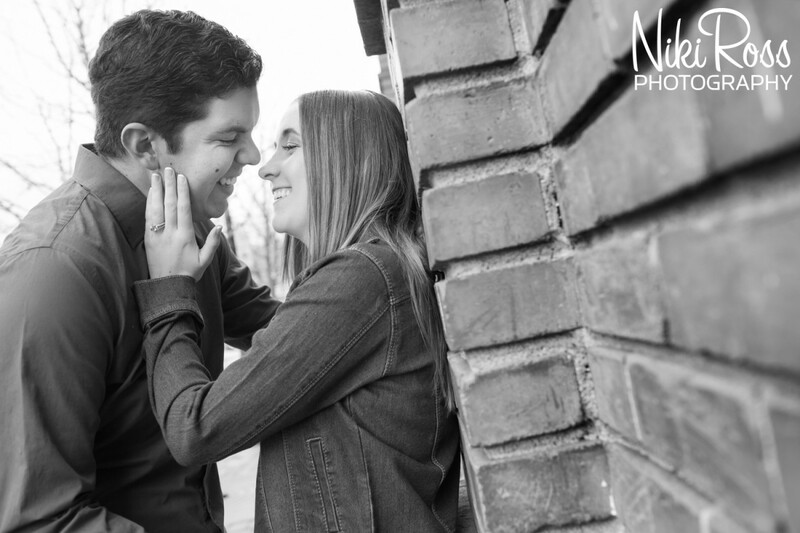 During Thanksgiving of 2015, Mark had planned the ultimate surprise for Kim. 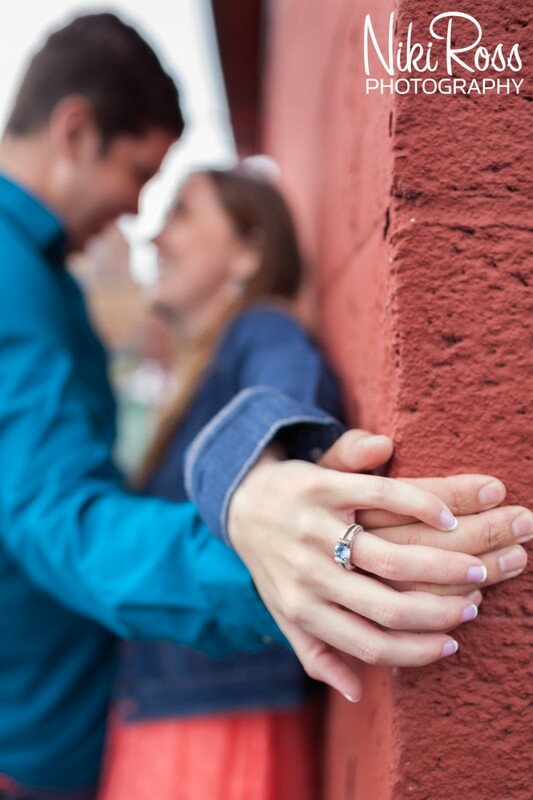 He was going to ask her to marry him. 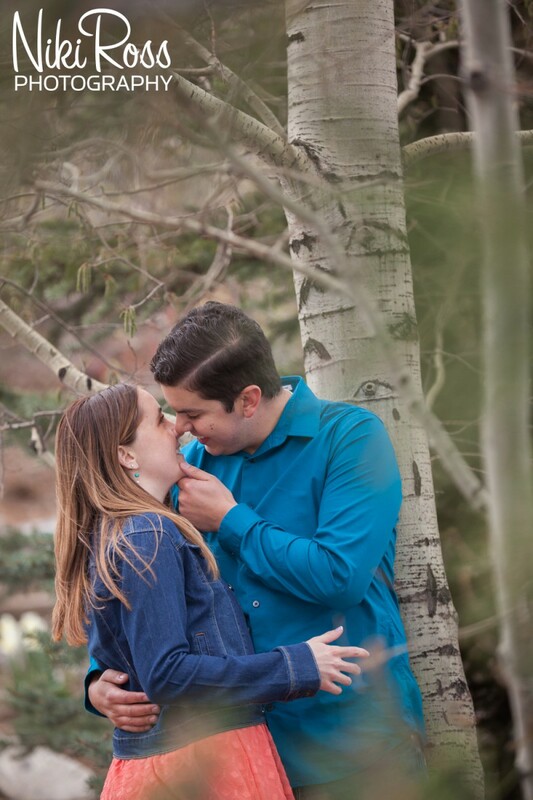 He had every last detail planned out, including having his brother hiding out in a tree for a photo. 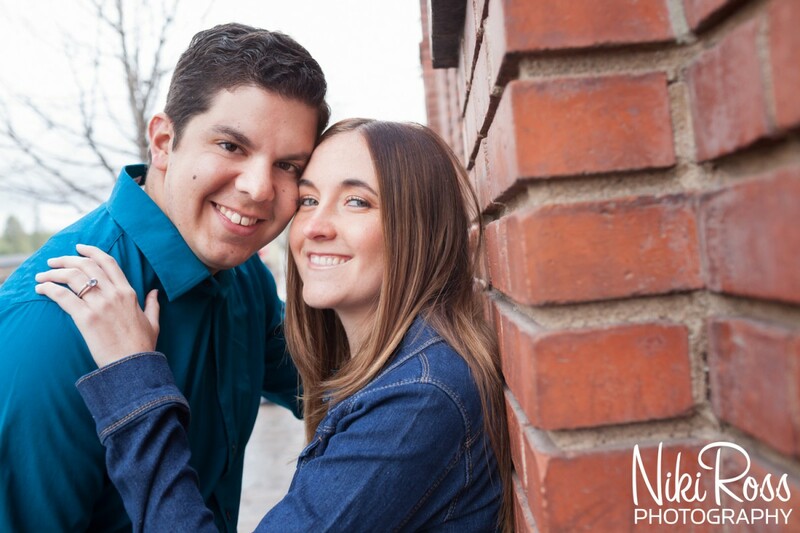 He even had arranged a party afterwards that all friends and family would attend. 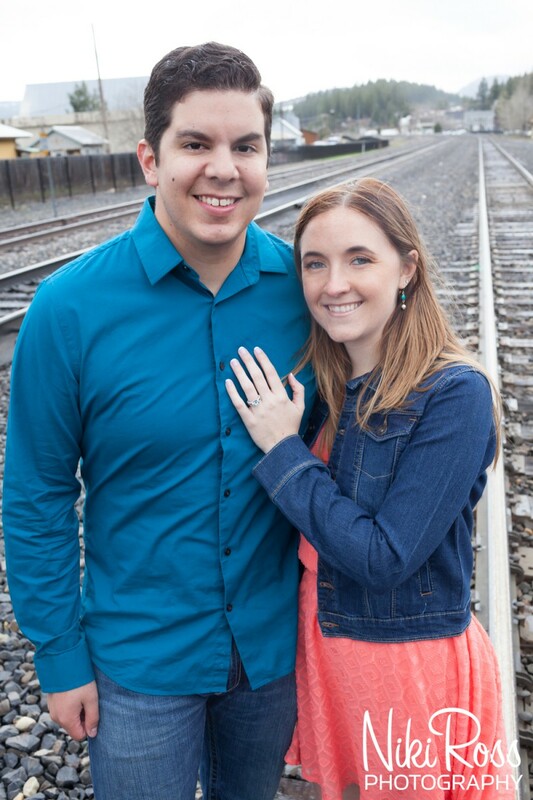 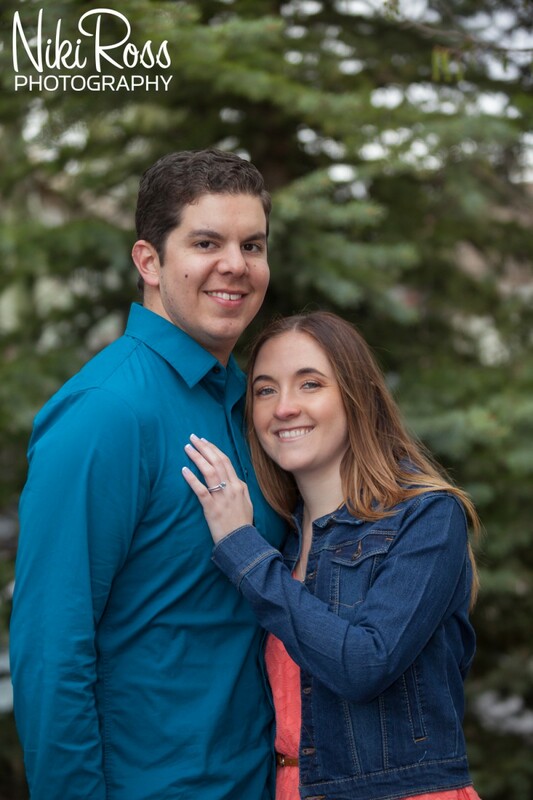 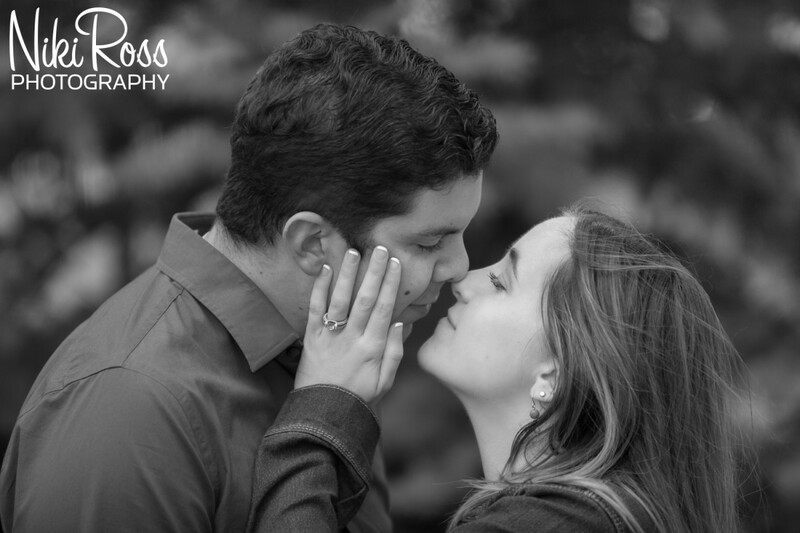 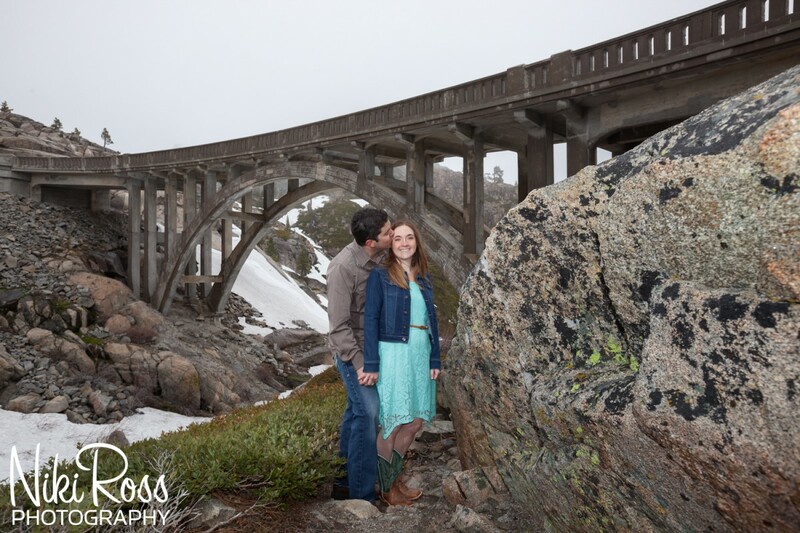 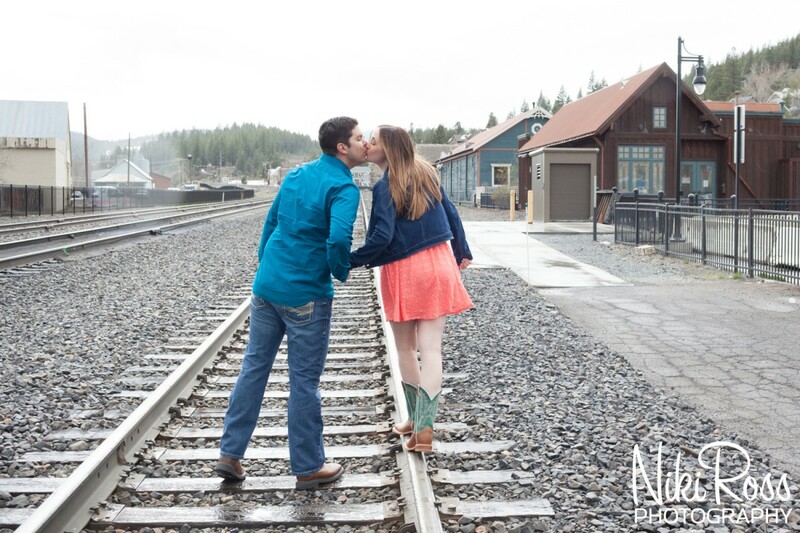 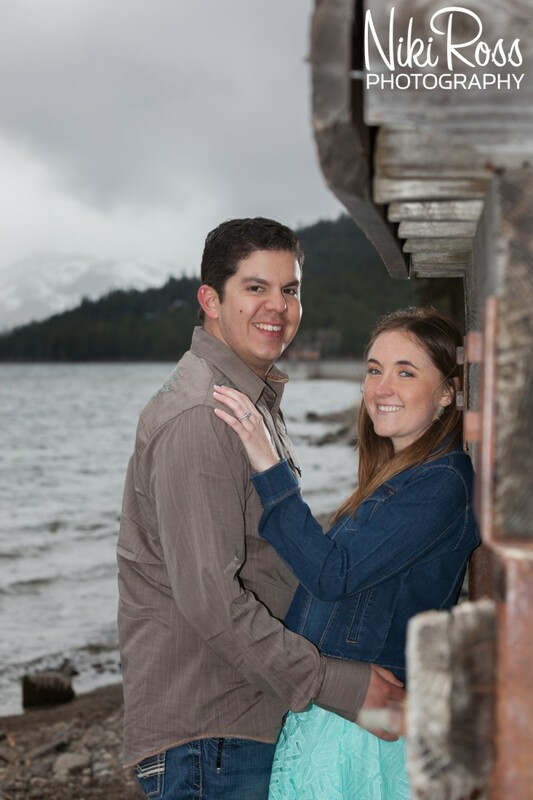 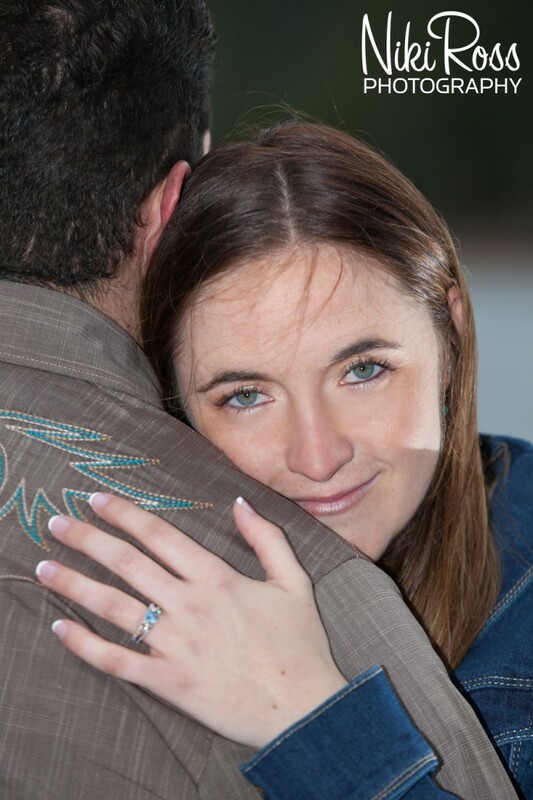 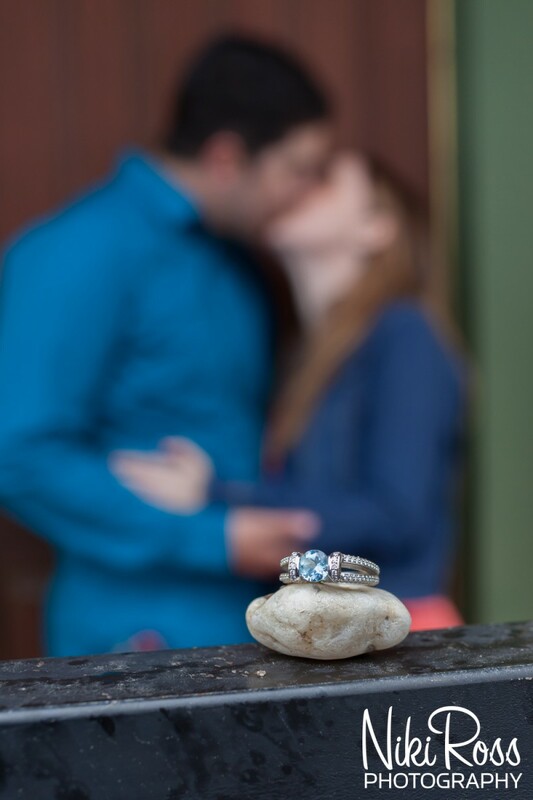 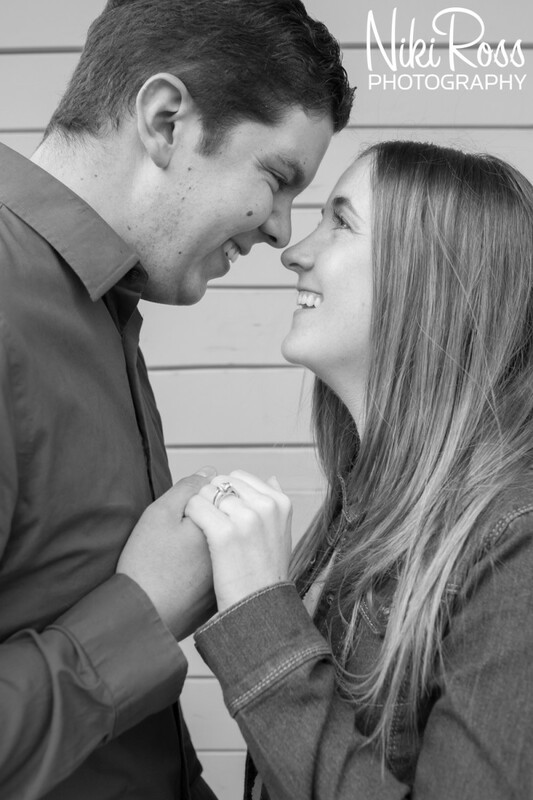 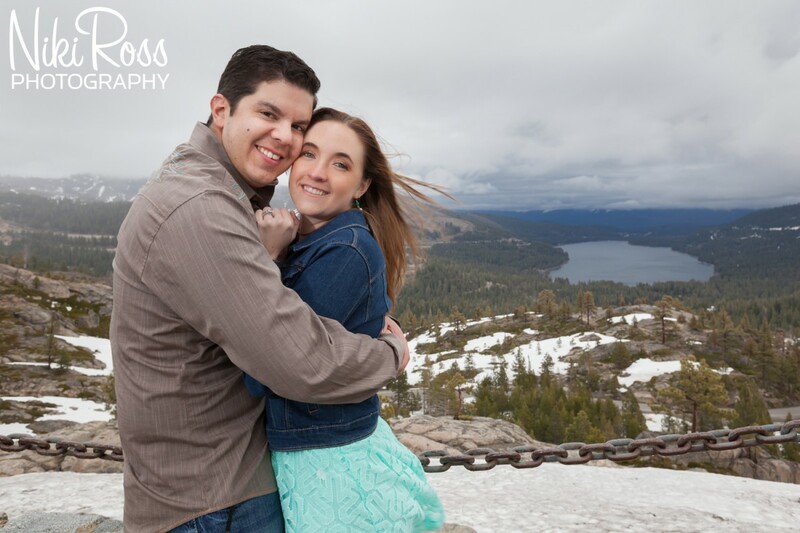 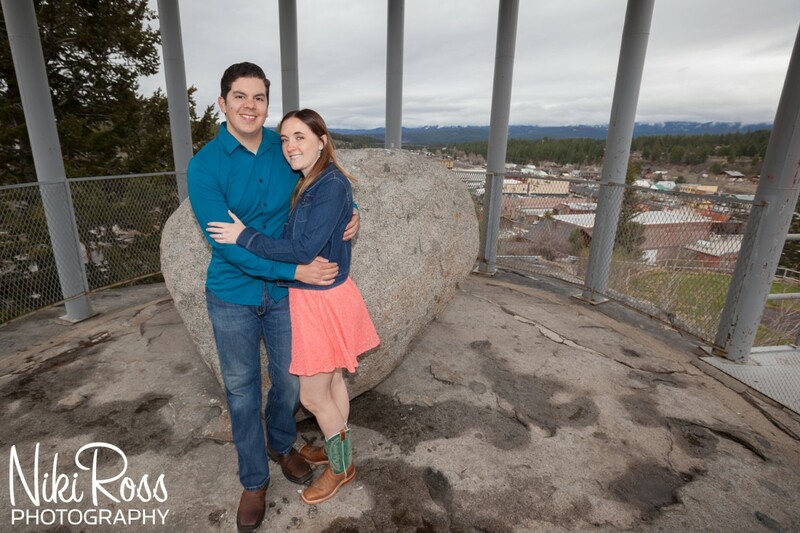 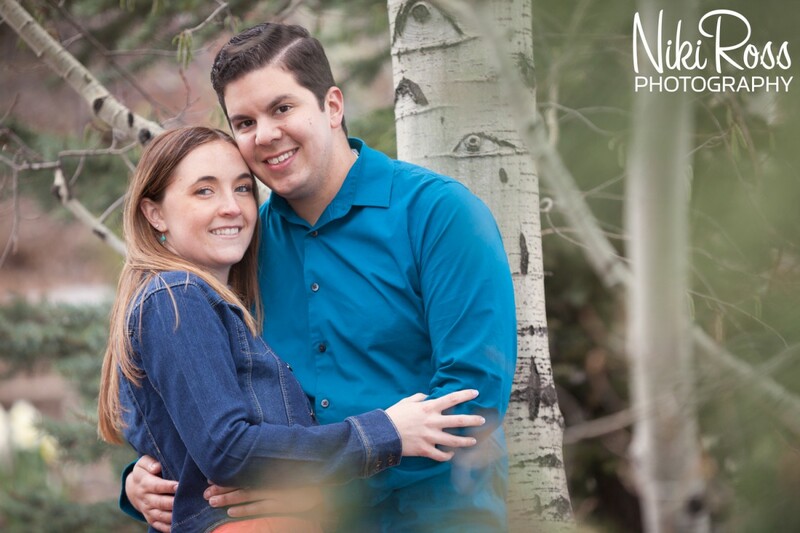 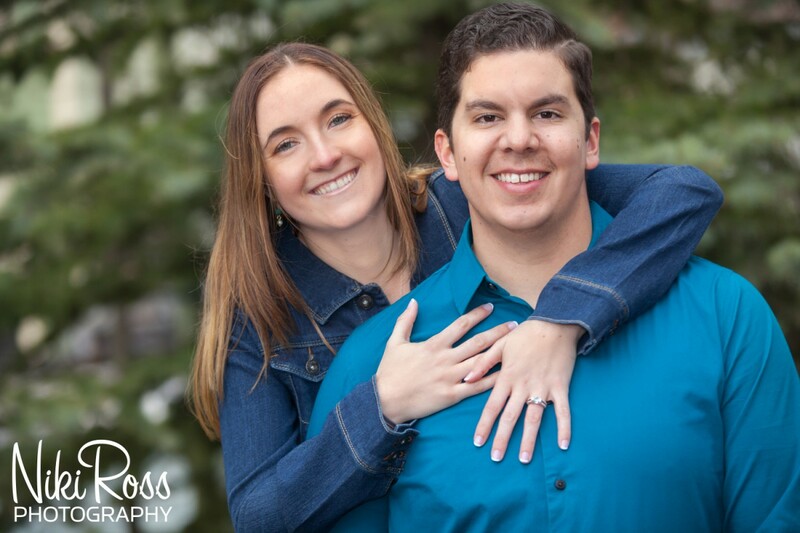 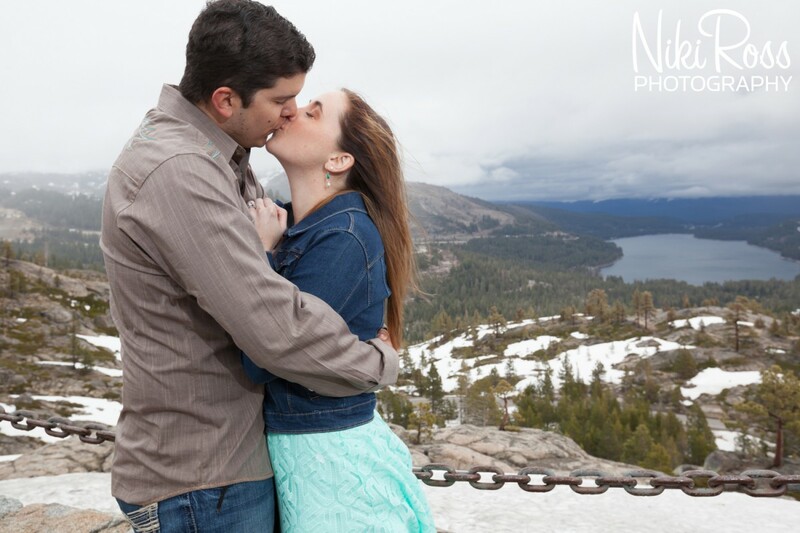 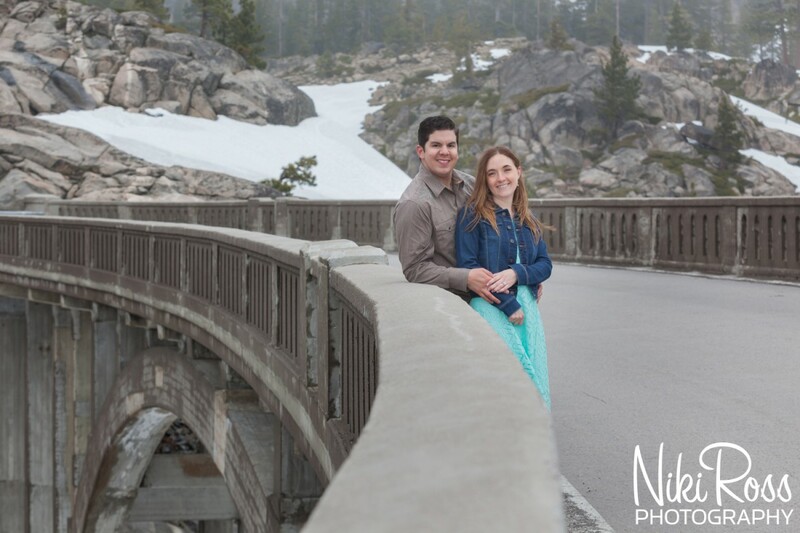 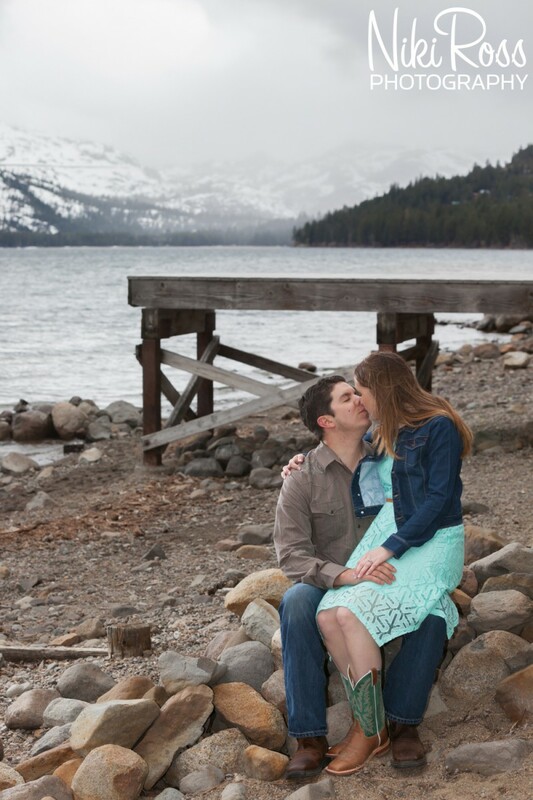 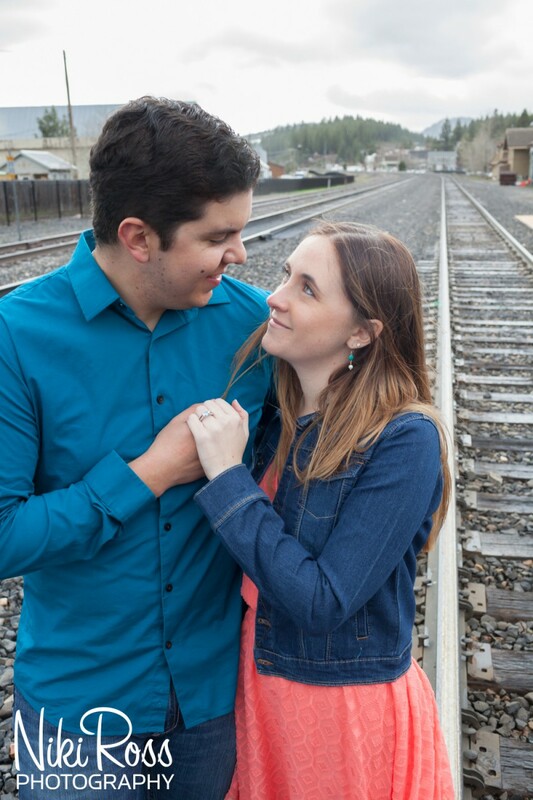 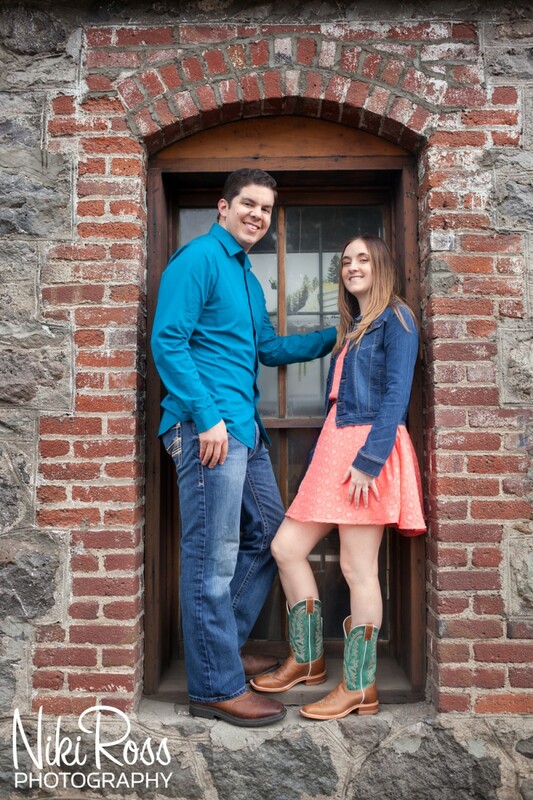 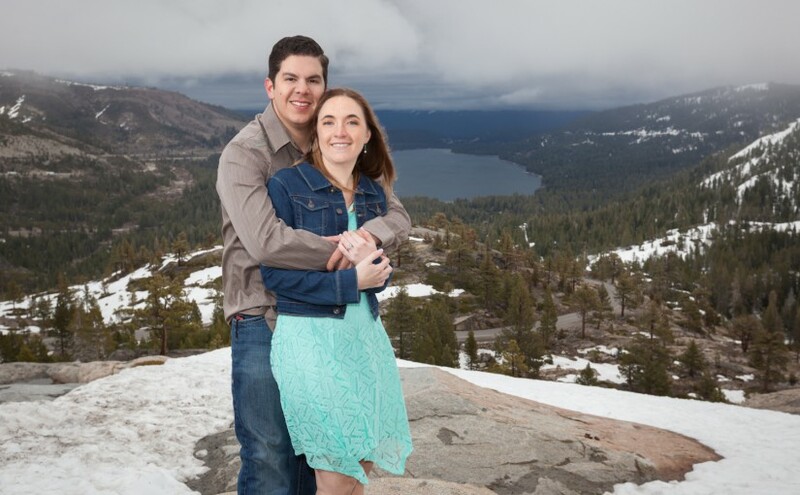 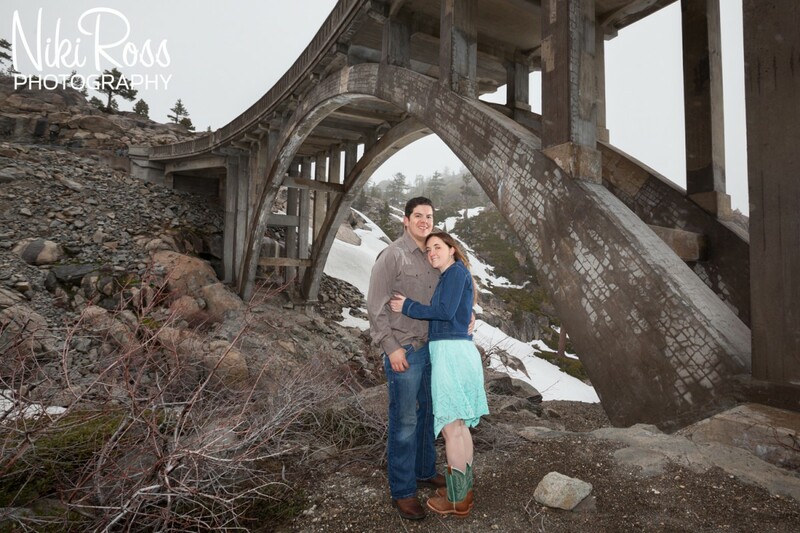 Of course, she said “Yes!” Now I am here to share with you their Truckee Engagement Session. 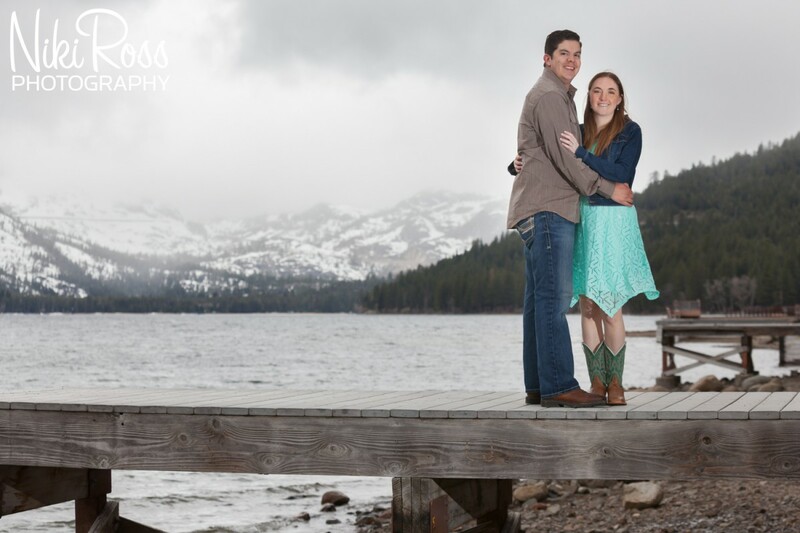 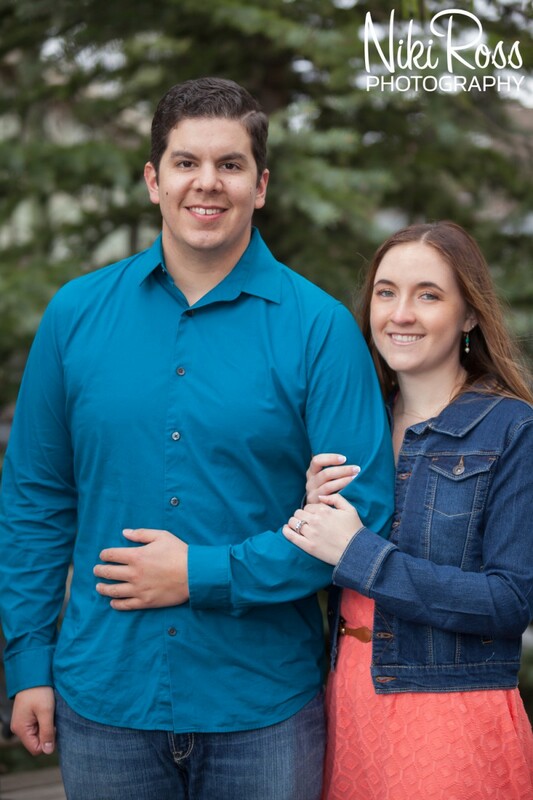 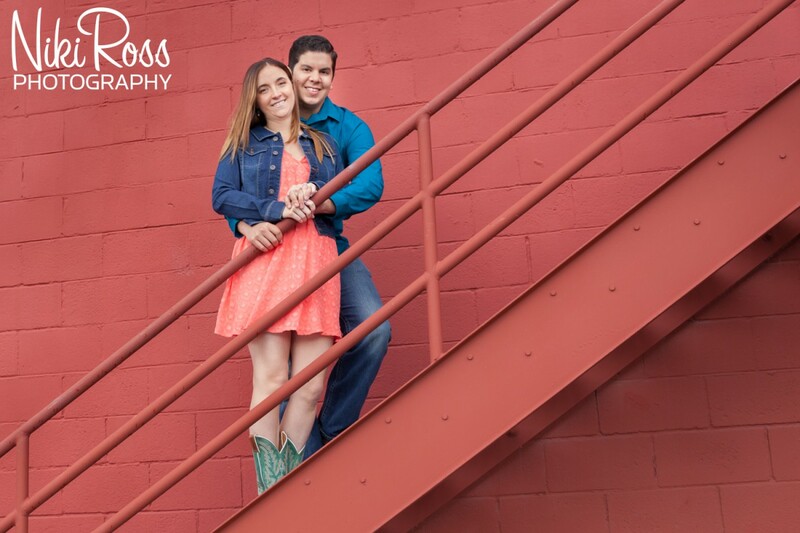 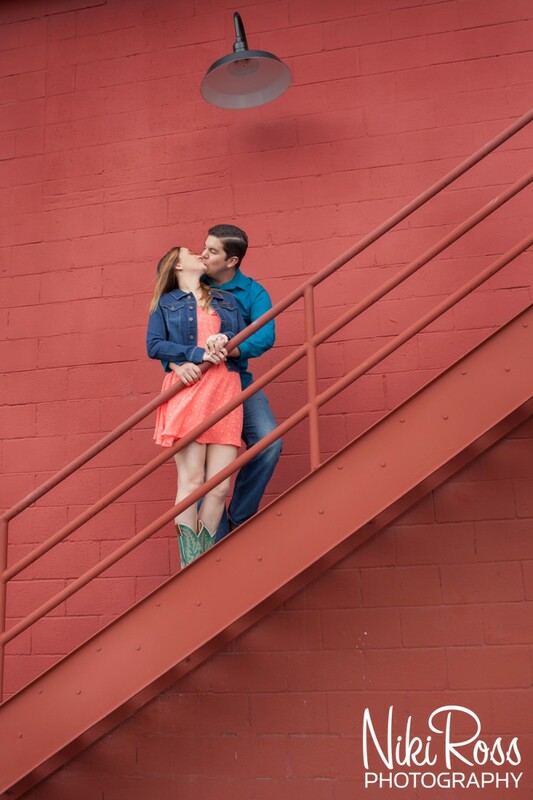 The day for their engagement session was showing rain all day. 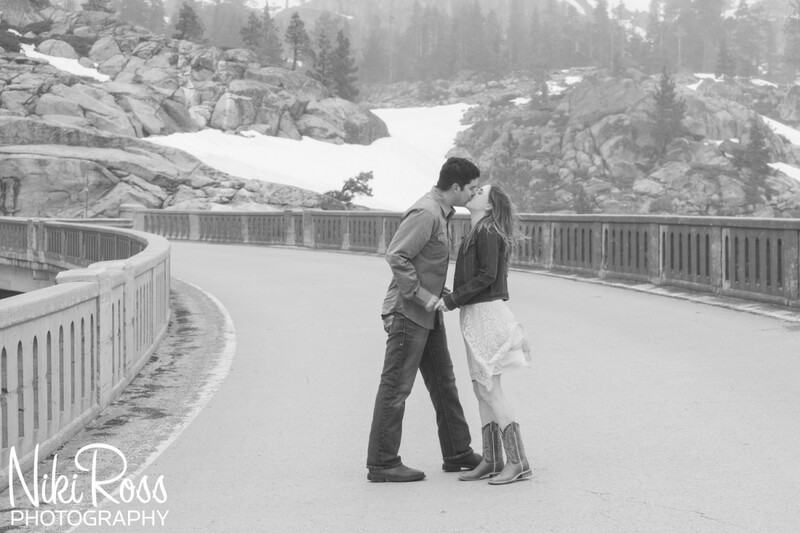 Lucky for me, these two weren’t gonna let rain stop us so we decided to risk getting a little wet. 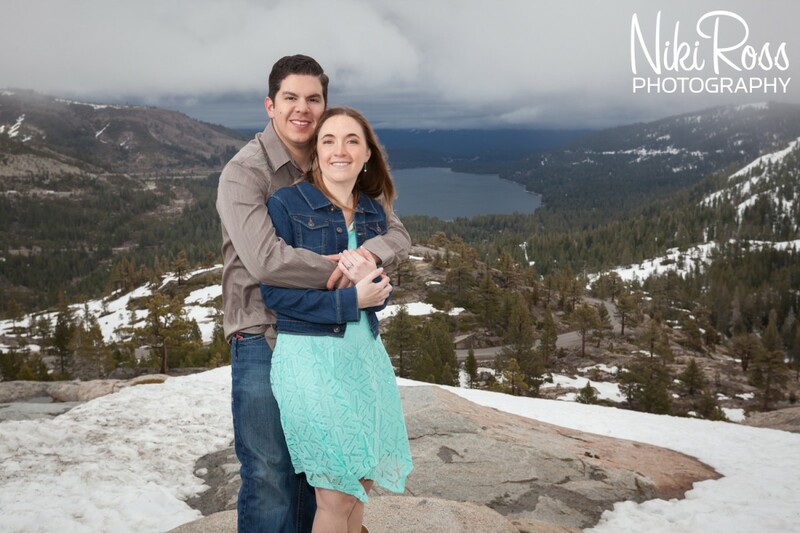 Luckily, the rain stopped just as we were getting started and we had some beautiful moody weather. 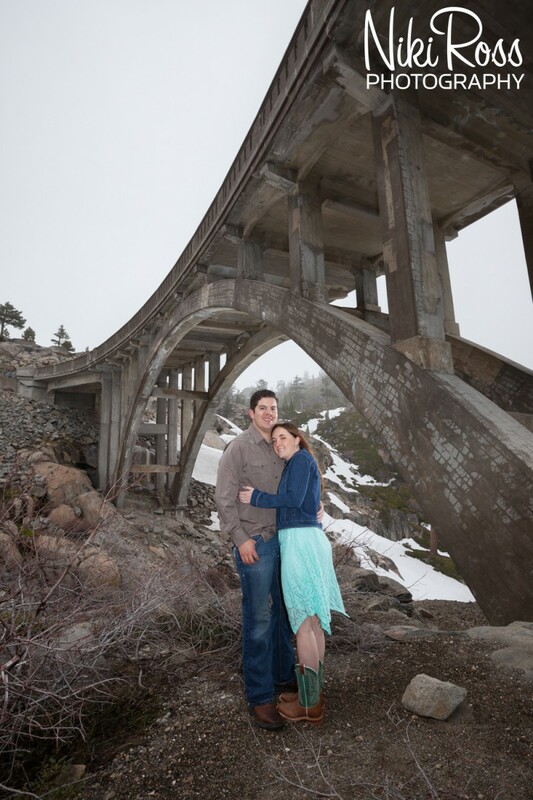 We started at Historic Downtown Truckee and from there made our way up to Rainbow Bridge on Old Hwy 40. 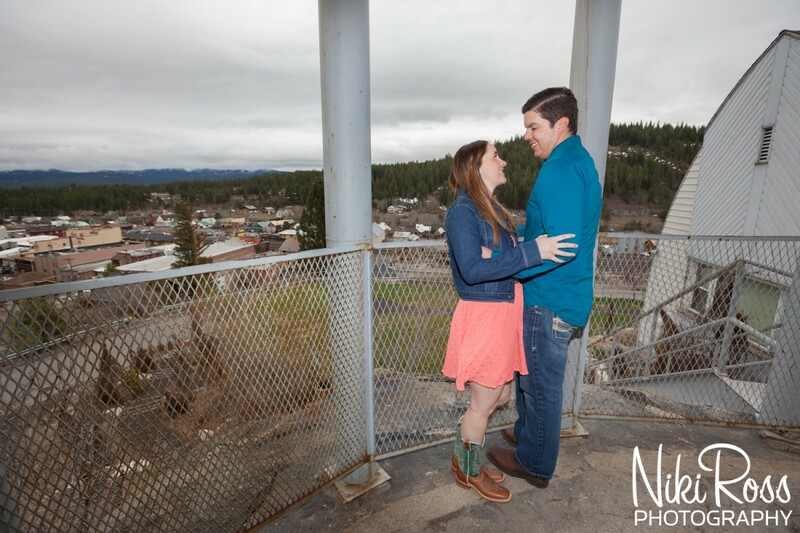 The wind was blowing up there and it was cold so we worked super quick! 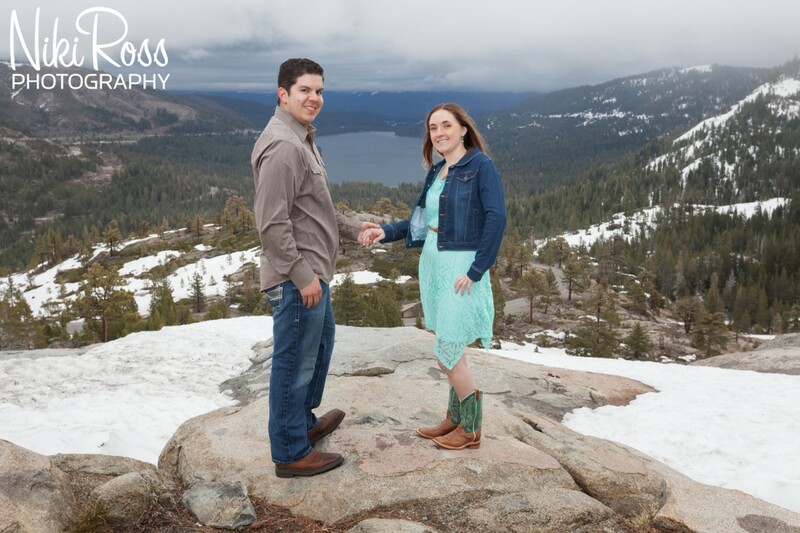 Plus, a second lucky for us, we made it just in time before the fog settled in on Donner Lake making it no longer visible. 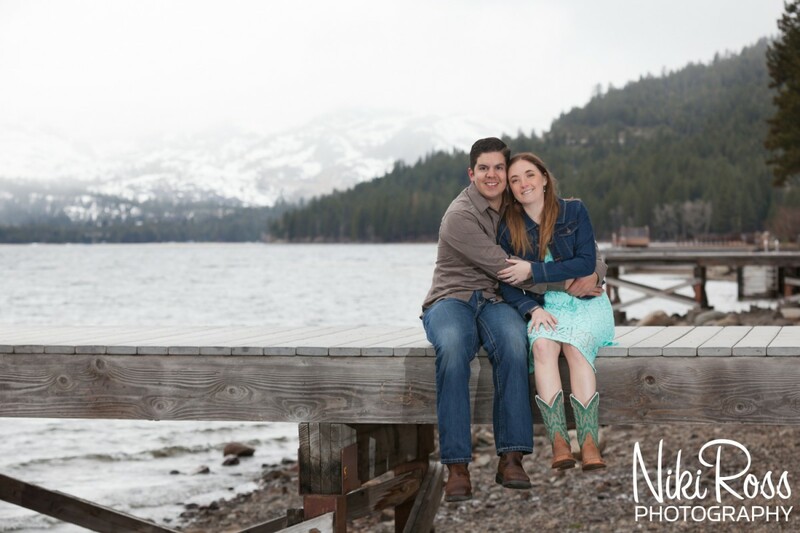 To end this Truckee Engagement Session it seemed fitting to make our way to the same dock where Mark proposed to Kim. 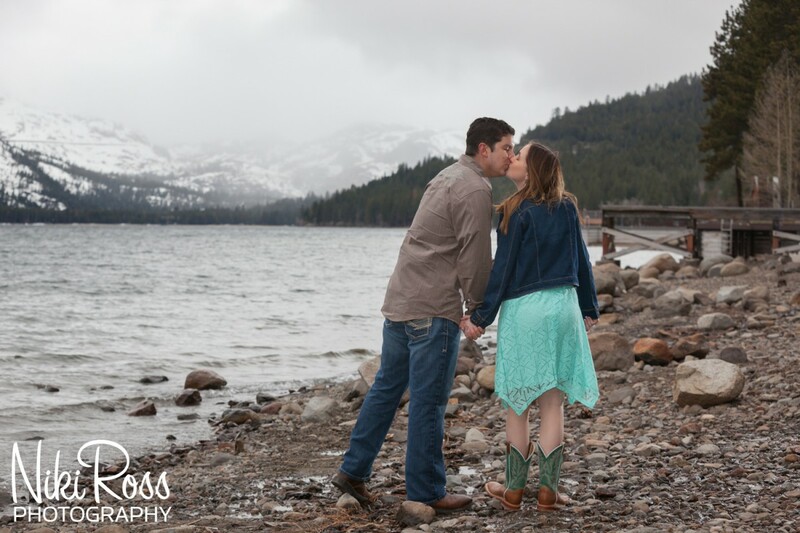 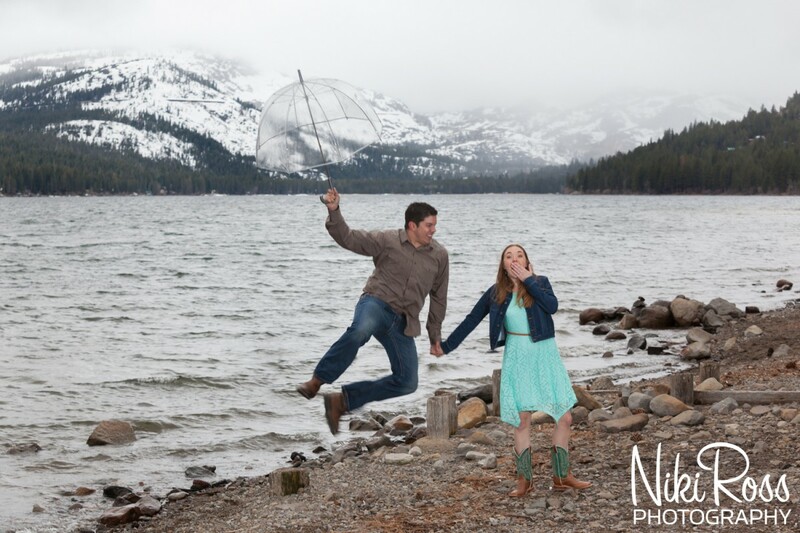 The weather for this Truckee engagement session had the threat of rain, a cold wind and a race to beat the fog, but these two rocked every second of it. 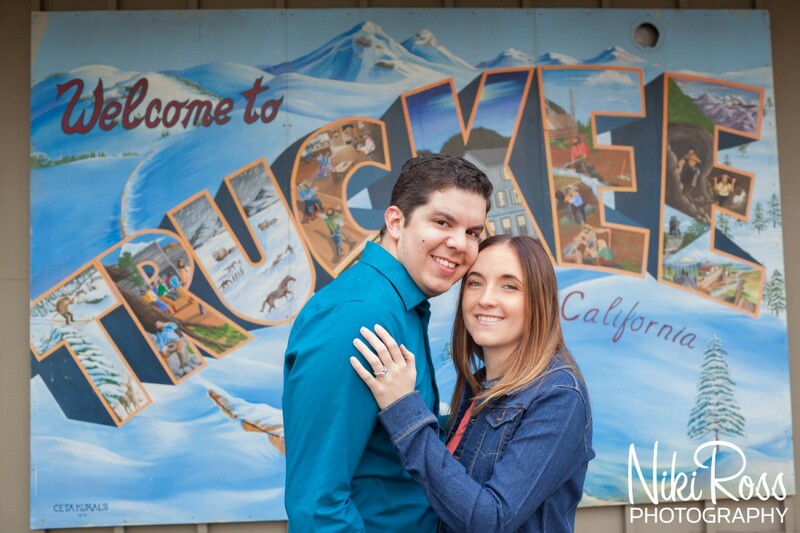 Congratulations again Kim and Mark! 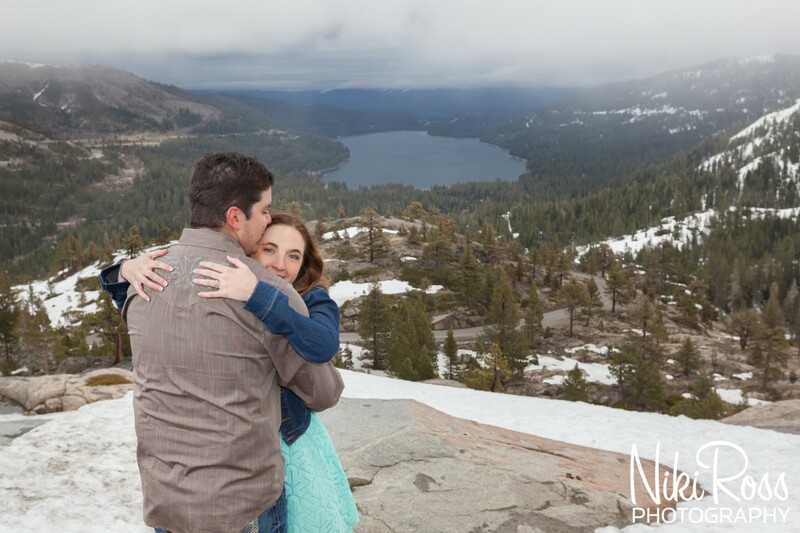 Next up in their love story will be a summer wedding at Lake Tahoe.